The success story that Micromax Canvas A116 HD created has pushed all domestic companies to offer cheap quad-core android devices with fairly powerful set of specifications, and this made Rs.10,000-15k INR smartphone segment viable for local Indian brands as opposed to earlier scenario where people opted for local brands only when they wanted to buy phones below 10k inr range. 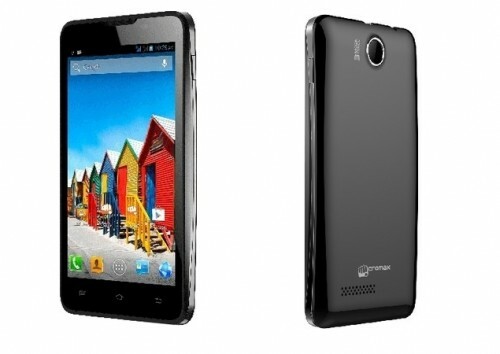 So, now we’ve several Micromax Canvas HD alternative available in market, or say, cheap quad-core android phones. Lava Xolo Q800 is also selling good and the main difference between canvas hd and xolo q800 is the screen size and resolution. Rest of the specs are the same. 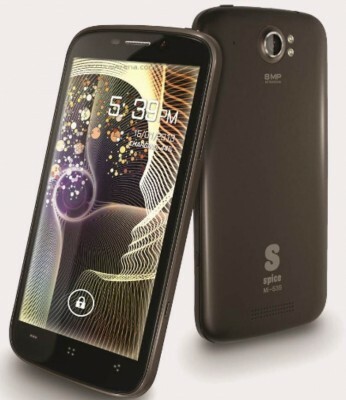 Spice has also entered quad-core budget smartphones market with Spice Mi-535 Stellar Pinnacle Pro which has been launched at price of Rs.14,990 (Dropping one buck here – The name is really clumsy and big. Simple branding is smart branding, which they don’t understand as of now!). What sets Spice Mi-535 apart from the rest? Well, like most of the cheaper quad-core android phones, Spice Mi-535 has quad core processor clocked at 1.2GHz (MediaTek) and 1GB RAM. What’s different here is the total internal memory as this Pinnacle Pro phablet has 16GB of internal storage (12.6GB user available), which I think, no other Indian brands offer at this moment. So, finally someone (Spice here) made this move forward in the right direction (i.e. equipping their high-end android device with sufficient internal storage capacity, the lack of which caused us to fume a lot in phone reviews). Of course, you can further extend its storage capacity by inserting external micro-sd card of upto 32GB. The display is of 5.3 inch size and the resolution is qHD i.e. 960*540 pixels. This is IPS Screen. 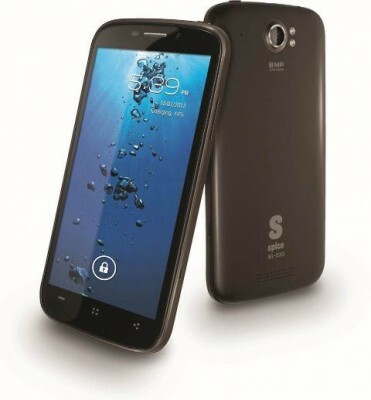 It has 8mp rear camera with dual-led flash. To add to that, on the front it has whopping 5 megapixel camera sensor with wide-angle support. Now, this is surprising, 5mp at front? Unless we get a chance to review this handset, we can’t make our comment on the camera quality. Moreover, the primary camera has 720p HD video-recording support. Now, this is rather confusing as has been the case with other quad-core android smartphones from other Indian brands. In most of the cases, the advertised 720p video recording turned out to be false, rather those phones supported 1080p video recording as was the case with MMX Canvas HD. Even some other Indian tech news portal has published that Spice Mi-535 supports Full HD 1080p video recording, but I don’t want to give any confusing info to our readers so we’ve reached out to Spice for their response and clarification on the issue. Update: Spice has confirmed that Spice Mi-535 supports just 720p HD video recording, not 1080p. The camera app comes with several modes like Smile Shot, Panaroma Mode, Pizzle mode, continuous shots, etc. On the connectivity side, there is good news i.e. It supports USB OTG, so you can use OTG cable to connect external pendrive or usb keyboard/mouse, etc to use with Spice Mi-535 Stellar Pinnacle Pro phone. Other connectivity features are bluetooth 4.0, WiFi, 3G, GPRS/EDGE, etc. It has bunch of usual sensors like proximity, gyro, ambient, g-sensor and magnetic sensor. For the sake of our readers, we’ve personally confirmed the presence of magnetic sensor in this phone, as magnetic sensor is not present in Micromax Canvas HD. It Weights 196.3 g and it measures 152 x 79 x 10.3 mm. 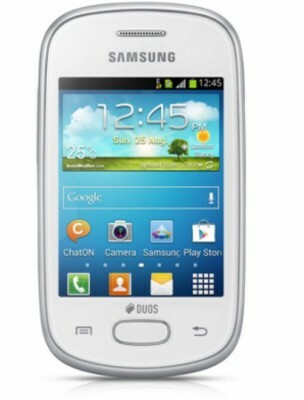 It is dual sim android phablet with 3G support on 1st sim card. It has 2550mAh battery which is bigger than that inside mmx canvas hd. On the software side, it comes with the latest Android version i.e. Android 4.2 Jelly Bean. It also comes with additional software tweaks like those offered in Samsung Galaxy Smartphones – pop up play, flip to mute, direct call, intelligent answer, gesture screen lock, boot acceleration, etc. In the box, the package contains screen protector, leather cover, USB OTG Cable apart from the regular indispensable accessories like charger, data cable, user guide. Well, everything seems right in this smartphone, but the lack of HD screen resolution in comparison to canvas HD makes the phone less desirable to those who want HD display, whereas the presence of high internal memory makes Spice Mi-535 stellar pinnacle pro more desirable to those users who always complained of low internal memory. On the camera front, if we could confirm the support of Full HD video recording, this phone will win (Update: As per confirmation from Spice, the phone doesn’t support 1080p Full HD video recording, the max recording resolution is limited to 720p). Drop your view on this phone. Spice Mi-535 will soon be available in all leading phone retail stores as well as on online shopping sites at price tag of Rs.14,990. Currently, this is available for pre-order on Saholic. This phone is a very good phone in the technology and shape . I would like to know Its price in dollars , and how to buy it ( if you have an agent in Egypt or through the internet ) .